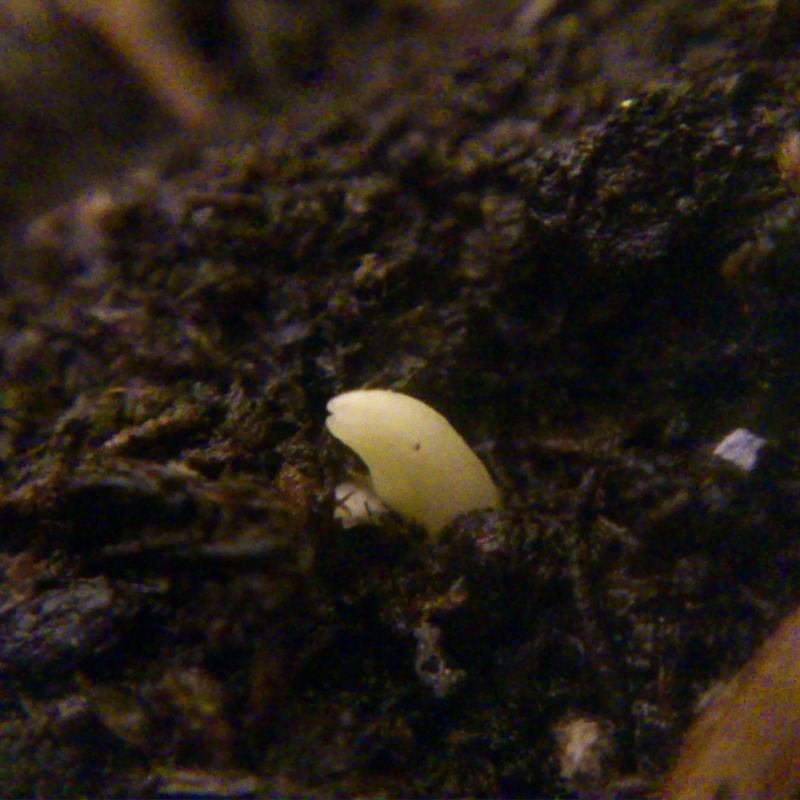 Either I have accidentally turned the seed while re-potting them and this is the root coming up or it is the Ginkgo’s attempt to grow properly. I will see on Sunday, because I’m going away for the weekend. Yesterday, I got one of the medlar fruits from their stratification container on my balcony, because it is too warm during daytime anyway to call it stratification. 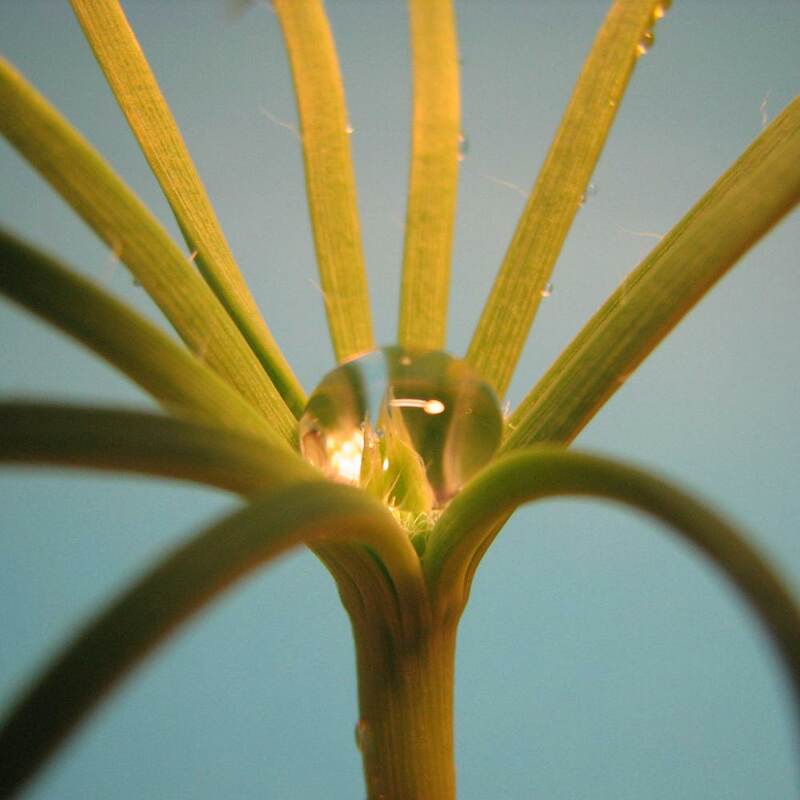 I put the seeds into water overnight and sowed them today. 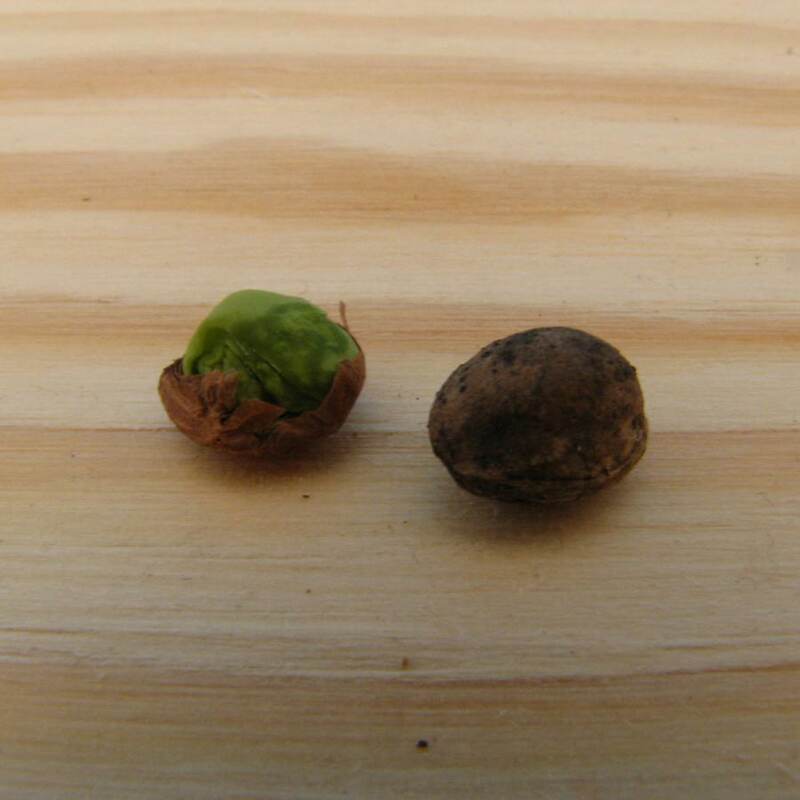 I also gave the ginkgo seeds from the egg carton pots proper pots, because the egg carton had started to rot and I was a bit concerned about my health. 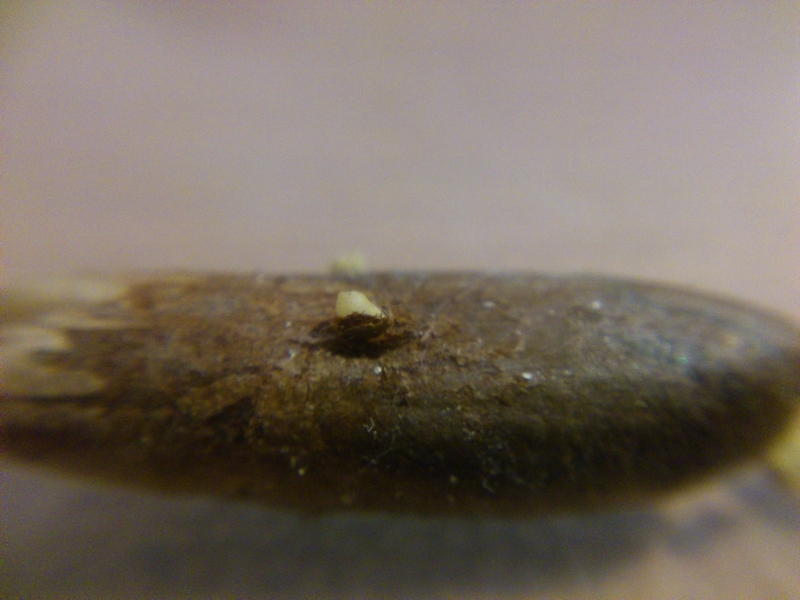 And I put the date seed that had germinated in vermiculite into a proper pot with proper soil. (Sorry for labelling the medlar seeds as “quince”, I had forgotten the name in English.) I only cut the egg carton “compartments” apart and put them into the new pots with the soil and the seeds. Then I prepared a little something for my co-worker from Sicily. 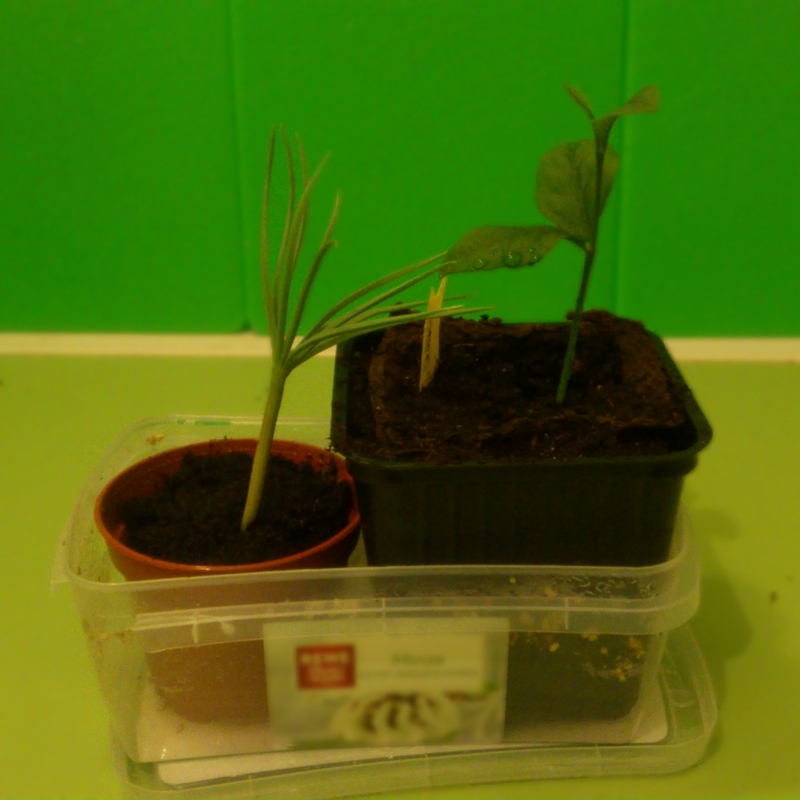 He had shown interest in the lemon seedlings, so I’m giving him one and one of the two pine seedlings. They’re his favourite tree. When I was juggling in the garden today in a t-shirt – that’s how warm it was – there was a lot of stooping involved, because I had to pick up the dropped balls. That’s when I discovered this green fellow. Later, I discovered more of the ones with the shell intact. I guess it is some kind of cherry, but I’m not sure. 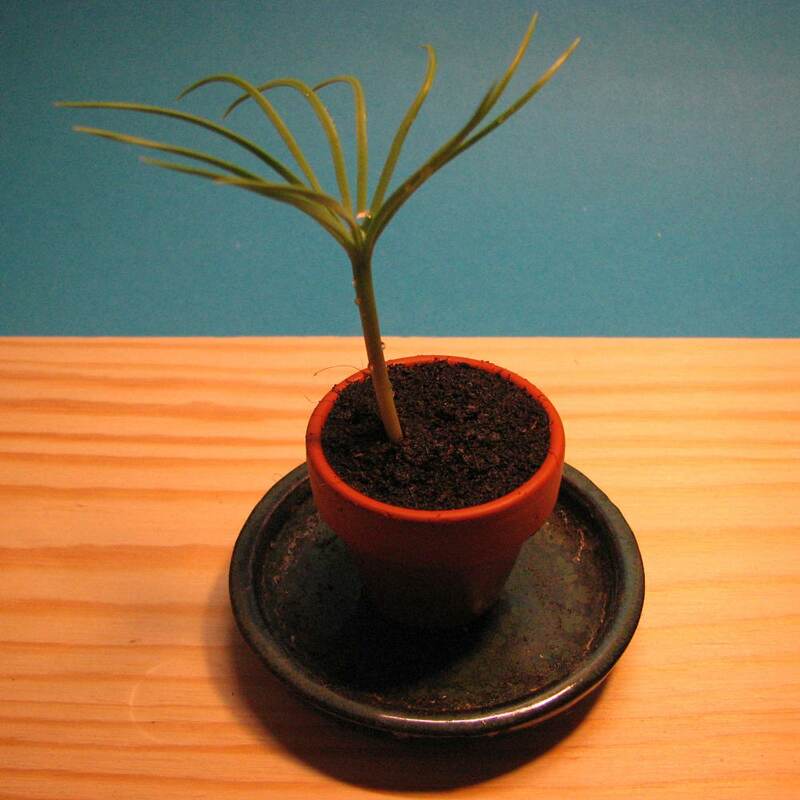 As I have come to not being able to resist any plant seeds, I picked them up and put them in a pot. There are three trees in the garden, one is an oak, but I don’t know about the others, because I only moved into the house in autumn. 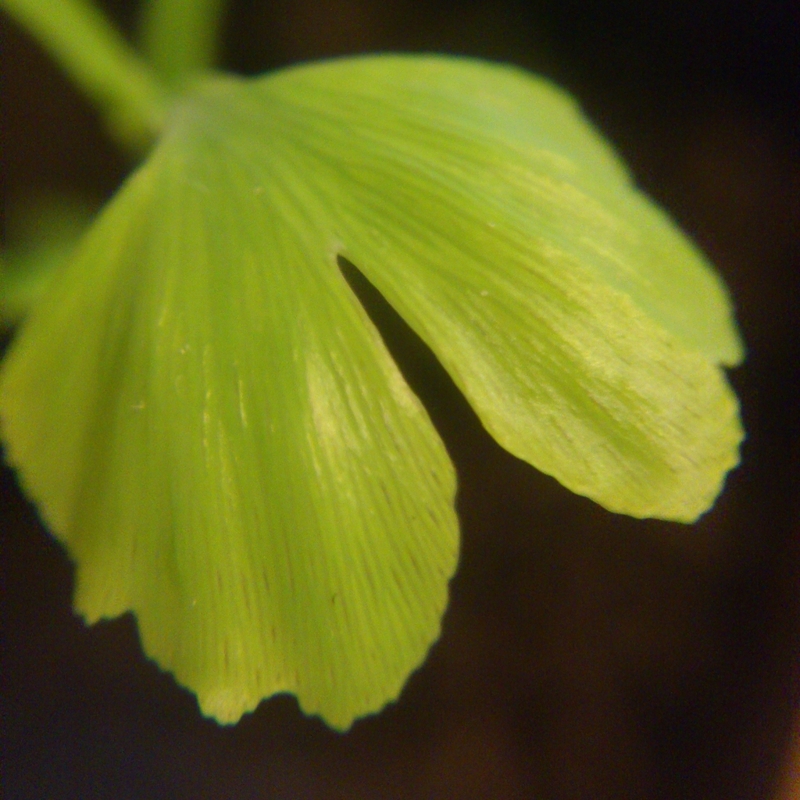 This is one of the leaves of my little ginkgo tree. It is about the size of my index finger’s nail. That answers the question: Can you grow date trees from dried fruit? Yes, you can. I somehow managed to disable my RPi camera yesterday, so it couldn’t take any more pictures. It seems to work again, now, so I will continue taking those pictures after all, but there will be a day missing.